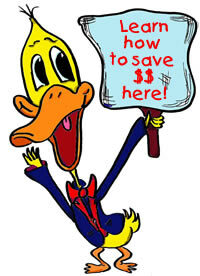 Richard Paul offers the Midwest’s best educational, entertaining, value driven school shows. School assembly topics include: positive behavior skills (PBIS), anti-bullying, super hero character building, healthy thinking, conflict resolution, all American constitution day program, world cultures, embracing diversity, author/reading program, Halloween/Fall harvest, holiday celebration, and a just for fun school show. Richard Paul and his educational school shows will leave your students teachers and parents talking about what they have learned to reduce bullying behavior, promote diversity understanding, work through and avoid conflict and what defines super hero style positive character traits. Each of Richard’s school assembly programs mix ventriloquism, magic, valuable success tools and audience participation. Most of the school assemblies include a fun, educational handout to use as a school assembly follow-up and promote classroom discussion. Richard’s school programs have been popular in many Midwest States like Michigan, Ohio, Indiana and Illinois. He has also has presented his school assembly shows in Texas, Florida, New York, New Jersey and Pennsylvania. Richard is a full time, bully free schools certified, professional, school assembly speaker, bully prevention author. Each of his school show topics are research based, with lessons that tie into the core curriculum for Midwest elementary and Midwest middle schools, primary schools and Junior high schools. His school assembly programs are broken down into both the middle school and elementary grade levels. The selection of topic pages listed on this website are broken down and separated so that you can easily find a school assembly topic that will fit your school’s age range and specific grade level. Richard offers many anti-bully assemblies, camp shows and motivational school age programs for youth conferences, youth retreats and special school events tailored to your needs. Elementary school assembly programs include an anti-bullying assembly, a super hero assembly, PBIS/character assembly, conflict resolution assembly, diversity assembly, school testing motivational assembly program, Constitution day assembly, reading assembly, social studies assembly, Halloween/Fall harvest assembly, and family night/school year kick-off assembly. Middle school assembly programs offer an anti-bullying assembly, cyber bullying assembly, conflict resolution assembly, positive behavior/character building assembly, diversity assembly, school testing motivational assembly program, social studies assembly program, Constitution day assembly program, school year kick-off show. 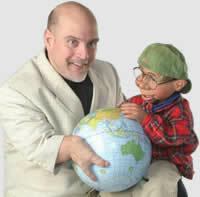 School Shows:, Richard also offers a fun magic show that mixes ventriloquism, magic and lots of audience participation. If you are planning a school rewards assembly and want just a fun school show click here for more information. Assembly topics include: Anti-Bullying, Bully Prevention, Character Building, Positive Behavior Skills, History, Social Studies, Multi-Cultural, Reading, Diversity, Educational Game Shows, Core Democratic Values, Conflict Resolution, Self-Image, Anger Management, Motivation and Laughter. Richard also has a group of professionals that offer programs on Math, Science and the Arts. Adult programs are available too! We have teacher in-service programs, parent programs and shows geared toward families. Ventriloquist, School Speaker, Richard Paul’s K-12 school assembly programs, camp shows, summer programs, red ribbon assemblies, school shows, school assemblies, cultural enrichment programs are unique, educational and entertaining. In other words, our Elementary School Assemblies, Middle School Assemblies and Summer Camp programs are the best. Richard Paul and his research based school programs (Elementary School Assemblies and Middle School Assemblies ) promote respect, responsibility and safe schools. Each of his educational school assembly programs work within the guidelines of most schools positive behavior support goals and objectives. Every program is fast paced, educational, entertaining and a whole lot of fun. Richard Paul is based in Southeastern Michigan and his fees are very competitive, staying within most schools allotted assembly program budgets. His local performance areas include parts of the northern Toledo districts in Ohio, the south eastern side and the lower half of Michigan. For additional fees he travels through out the United States and Canada. He has performed at several schools in Indiana, Illinois, New Jersey, New York, Kentucky, West Virginia, Pennsylvania and throughout Ohio. He recently presented a program for a Teen School Bullying Conference in Saskatoon, Canada and a Girl Bullying Conference in Las Vegas, Nevada. The majority of these schools and organizations took advantage of his block booking/residency discounted rates. For information on how you can save on Richard's local and travel rates, see our Block Booking information. See what some past clients have to say! This website is owned by Richard Paul and may not be reproduced without permission.